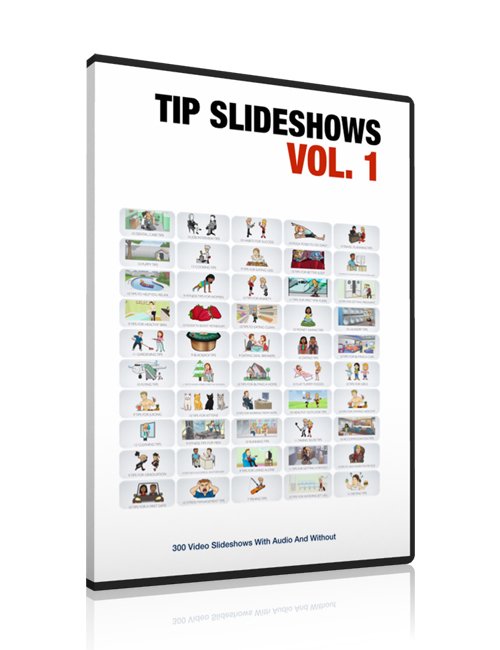 This first of two volumes in the Tip Slideshows series includes 300 Slideshow videos of the highest quality. That includes 150 videos in full 1080p HD with a variety of voice-overs plus another 150 videos in full 1080p without voice-overs which allows you to add your own personality or music. The thing about getting the audience’s attention is that you have a lot of competitors vying for that same audience which means you need to come in with a different angle or something unique to build your brand in your space or niche. Writing great content is key but on top of that, and to help you gain an even bigger audience, you need videos, images, slides and infographics. Content with videos and images get shared a lot more often across various social media platforms. Slideshows especially are being shared today more than ever before because they’re awesome and they tell a story which engages the audience. You can load the slides into any slideshow plugin or insert your own audio or music and off you go. The most important thing to note is that blog posts, images, infographics and slideshows are the most common forms of content and media that gets liked or shared. You can use these slideshows for your blog, YouTube videos, social media, educational content, Powerpoint presentations, or even use them for your client projects. This is one hot download so when you’re ready, hit the download button.